Rounded kissing posts are smooth to touch. The posts and morticed rails give an attractive and professional appearance. 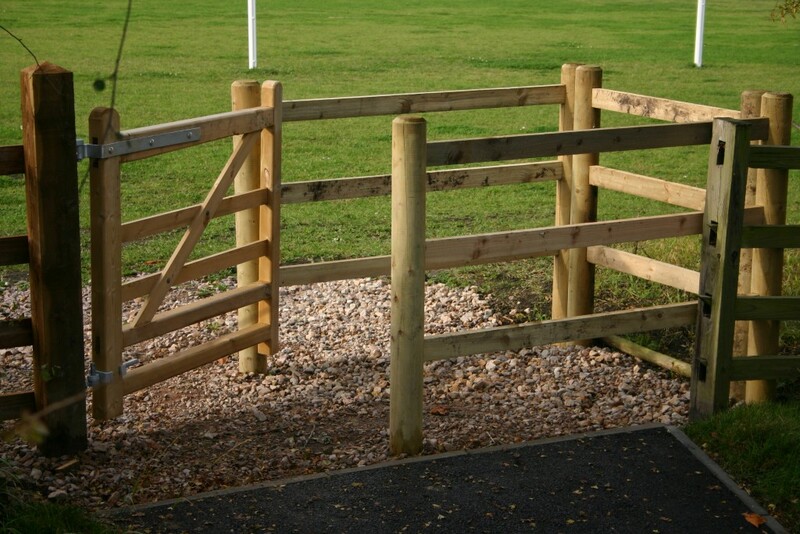 Layout of posts allow wheelchair and pushchair passage and also provides some flexibility on site. 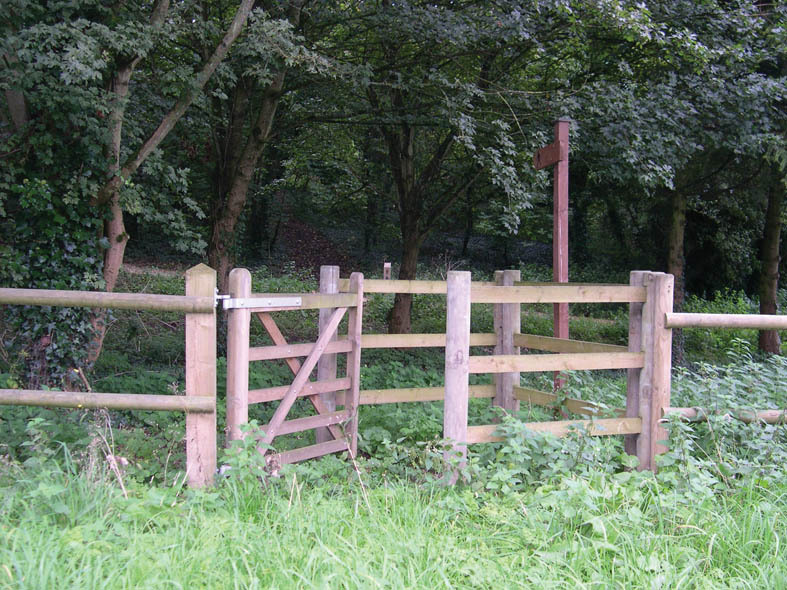 The gate is used on routes suitable for pushchairs, manual wheelchairs, and smaller motorised wheelchairs. The specification has the advantage of deterring motorbike usage.